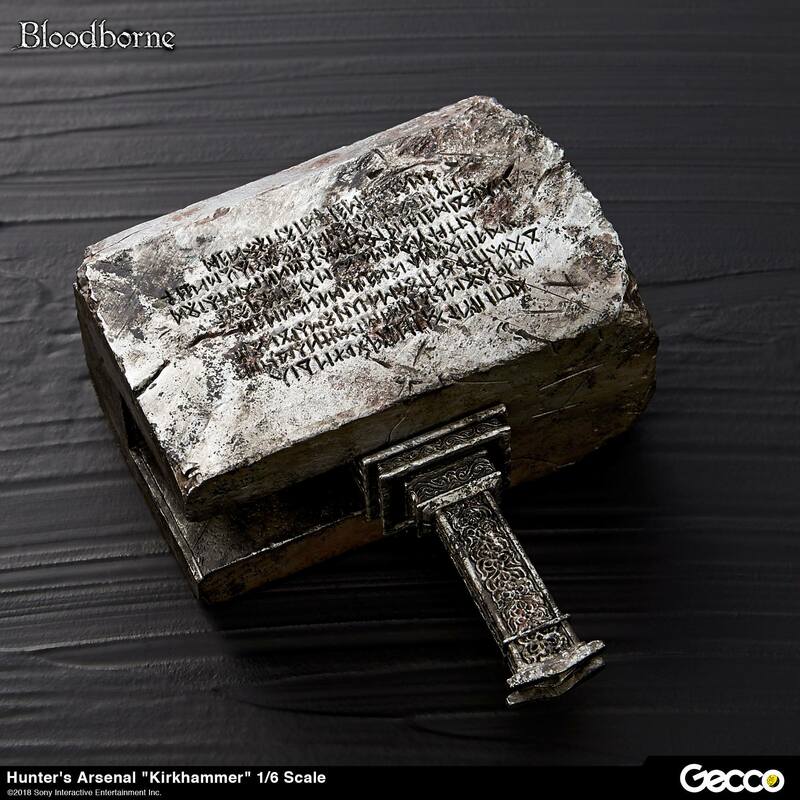 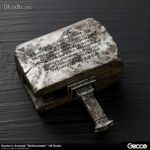 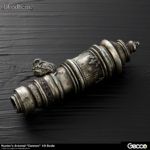 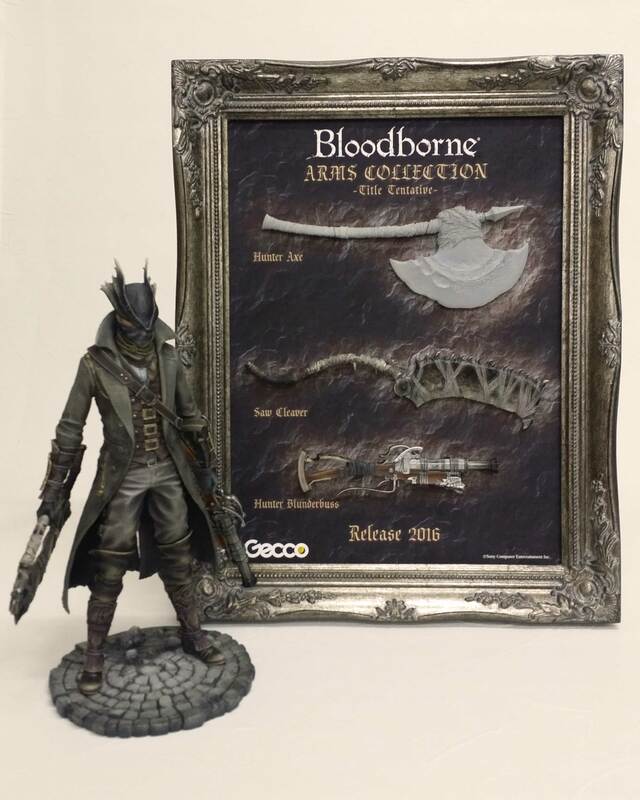 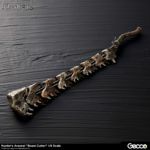 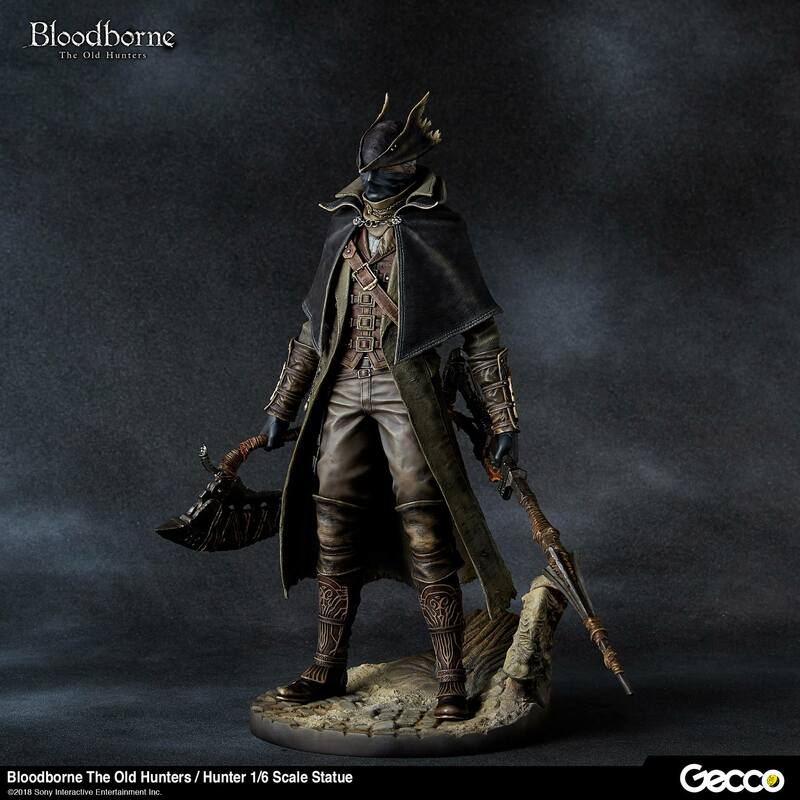 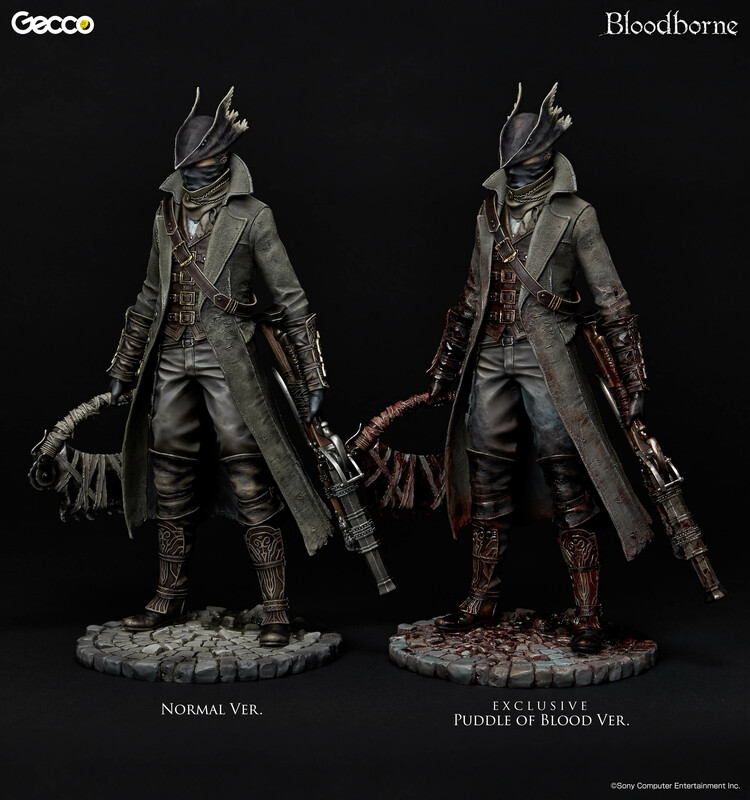 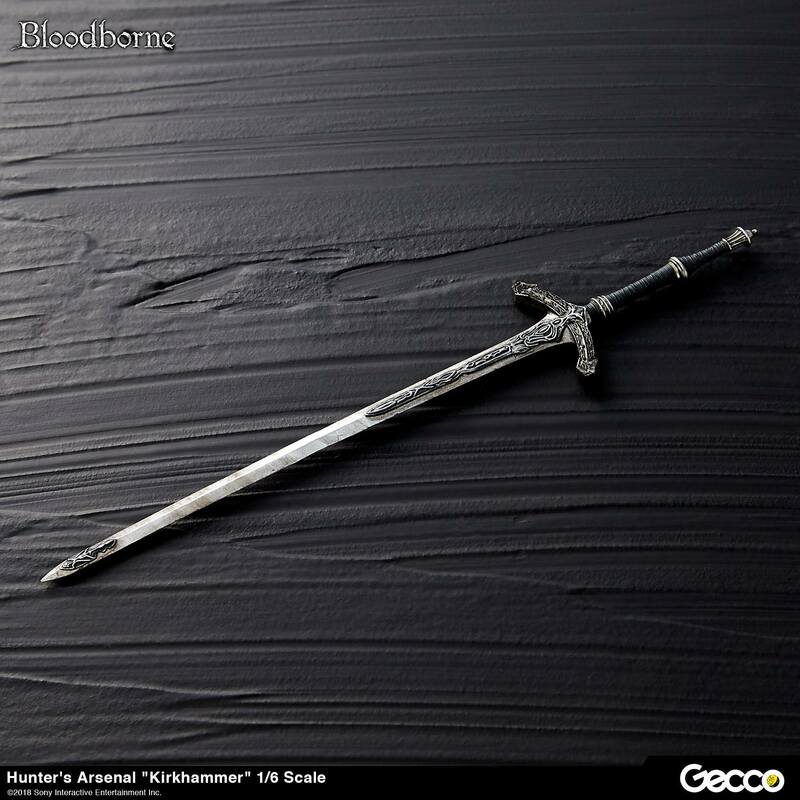 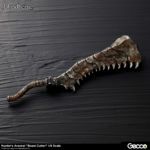 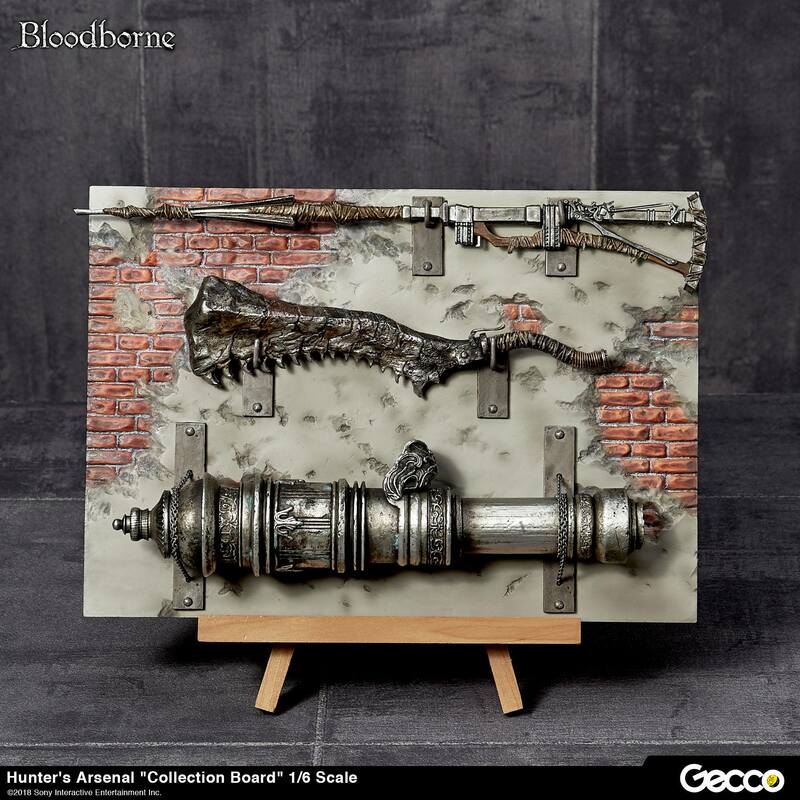 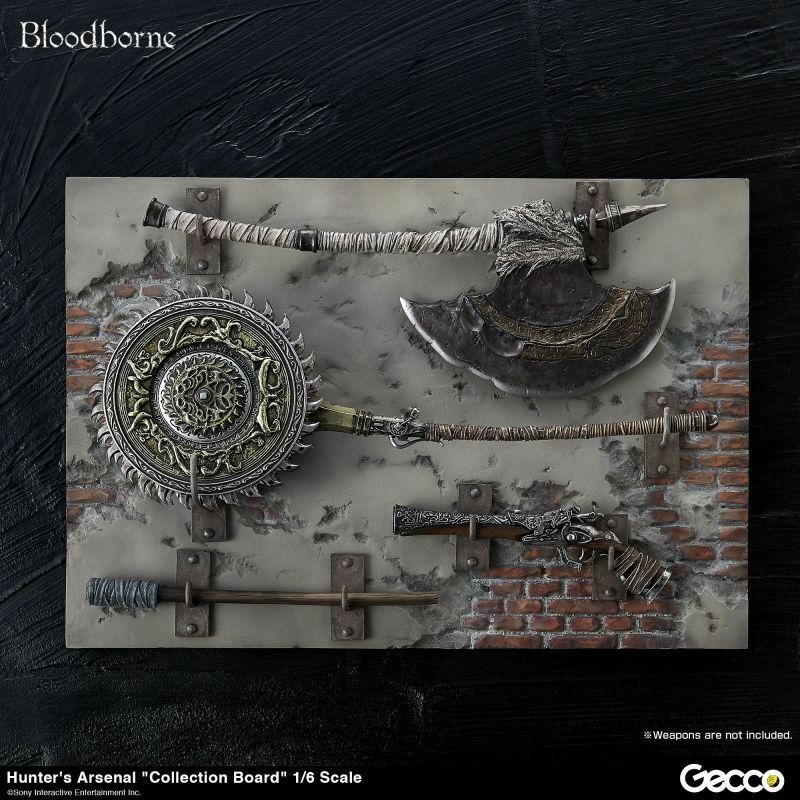 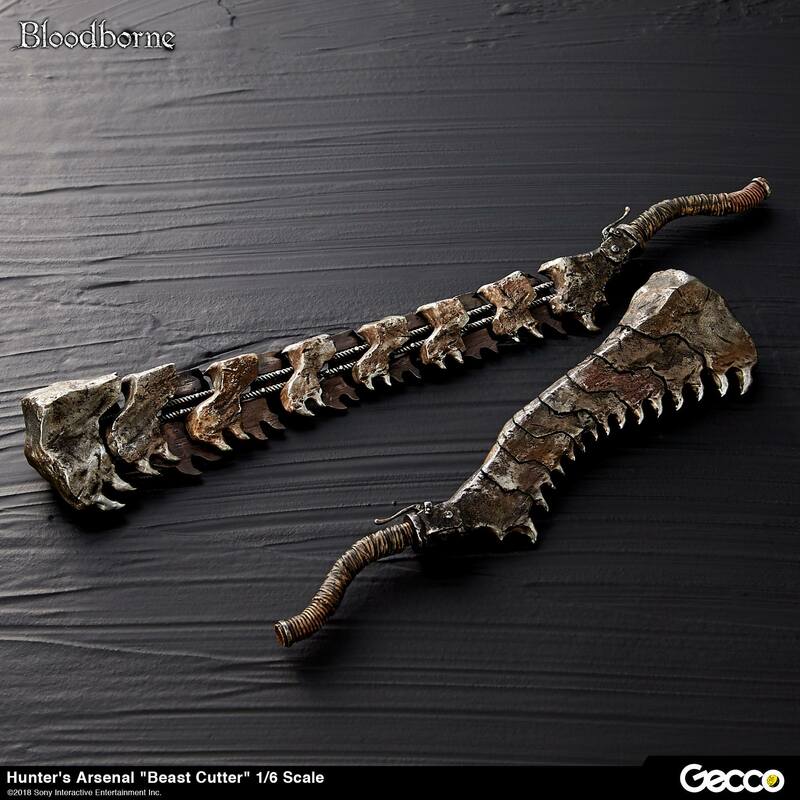 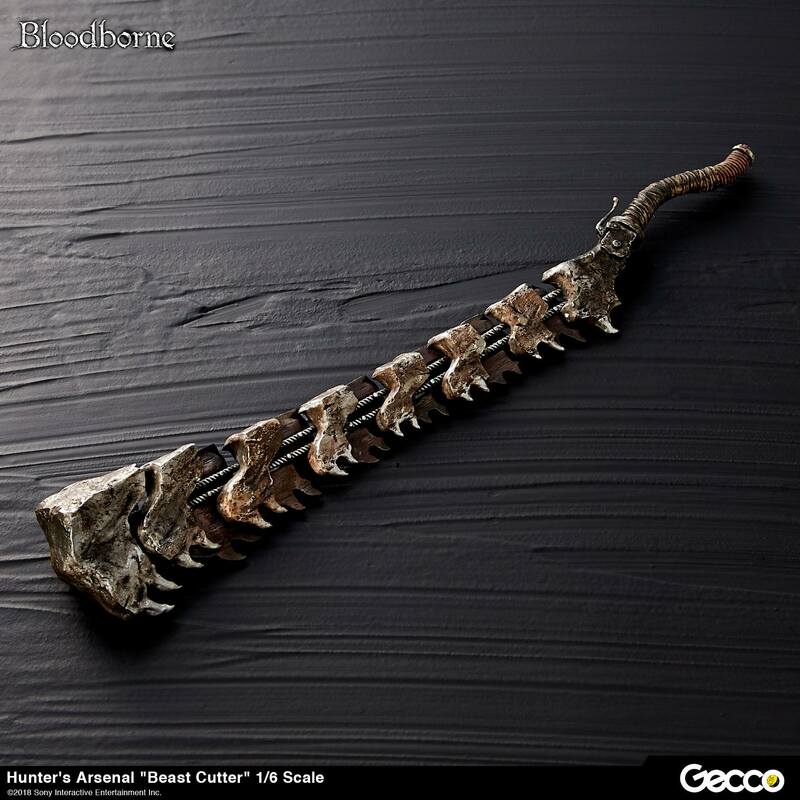 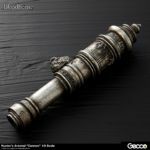 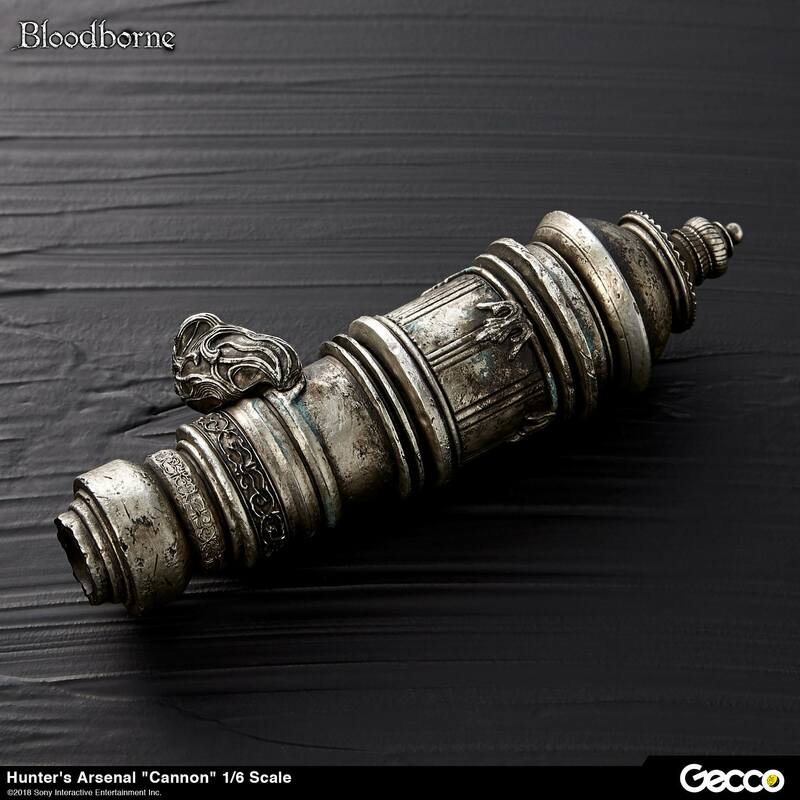 Pre-orders are live now from Gecco. 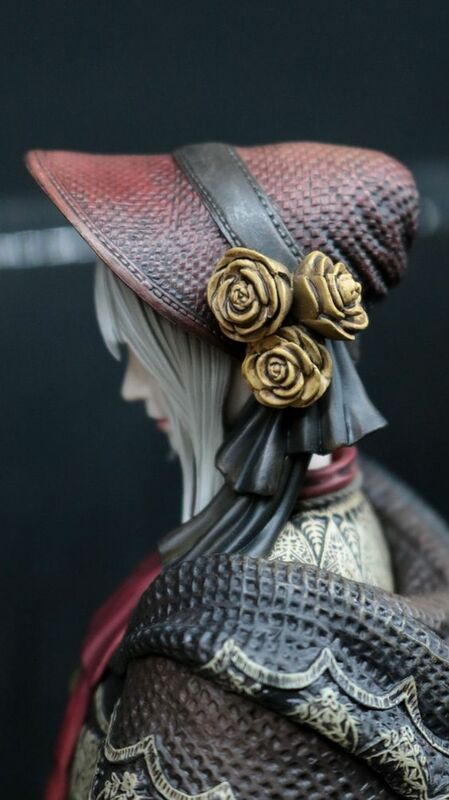 Read on for photos, details and pre-order links. The large firearm “Cannon” has been experimentally produced by the Healing Church Workshop before. 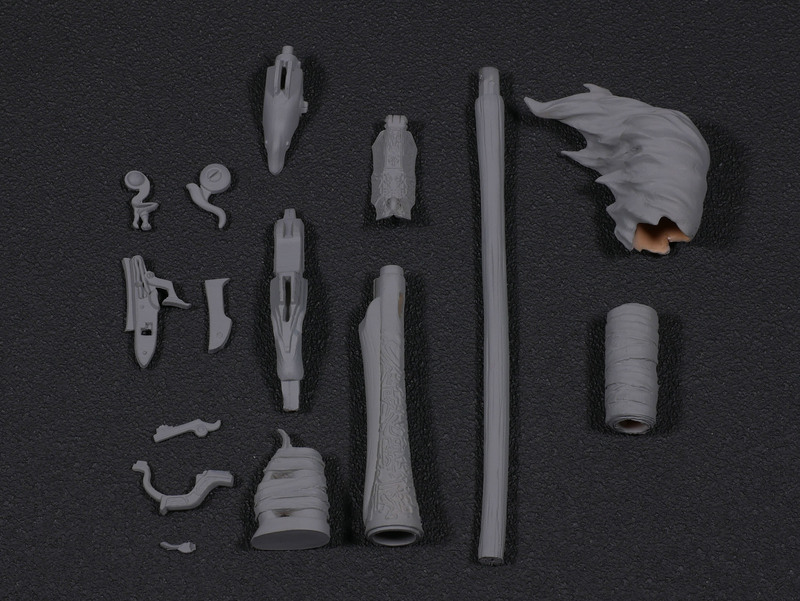 The extraordinarily huge barrel is interchangeable helping to recreate both the carrying (short) and firing (long) mode. 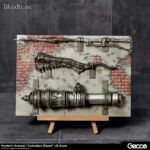 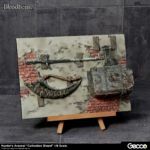 The massively long cannon measures up to 230 mm and is made of heavy Polystone material, enhancing an already powerful presence. 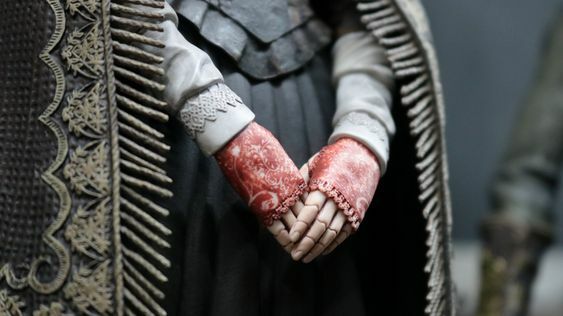 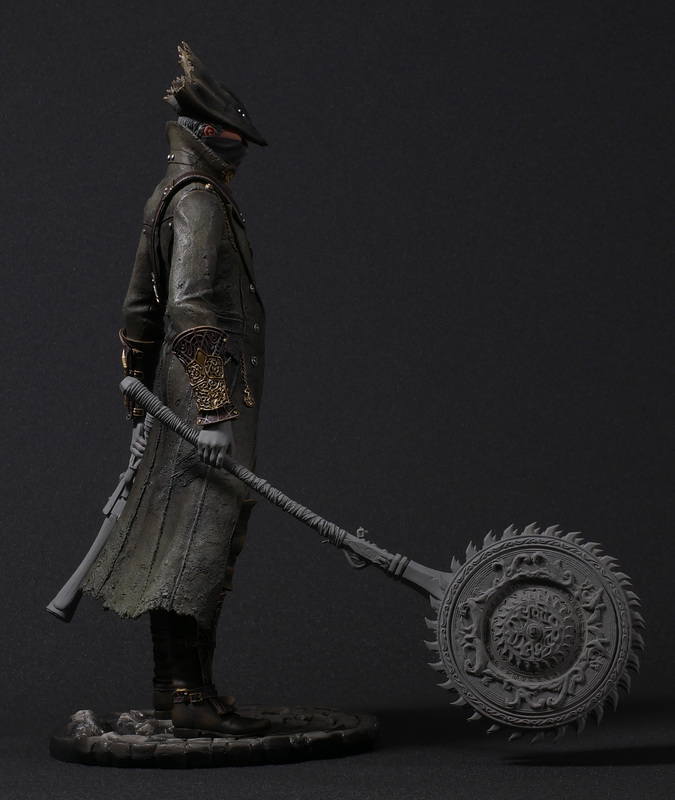 The highly detailed sculpt and paint work on firearm is definitely a must-see. 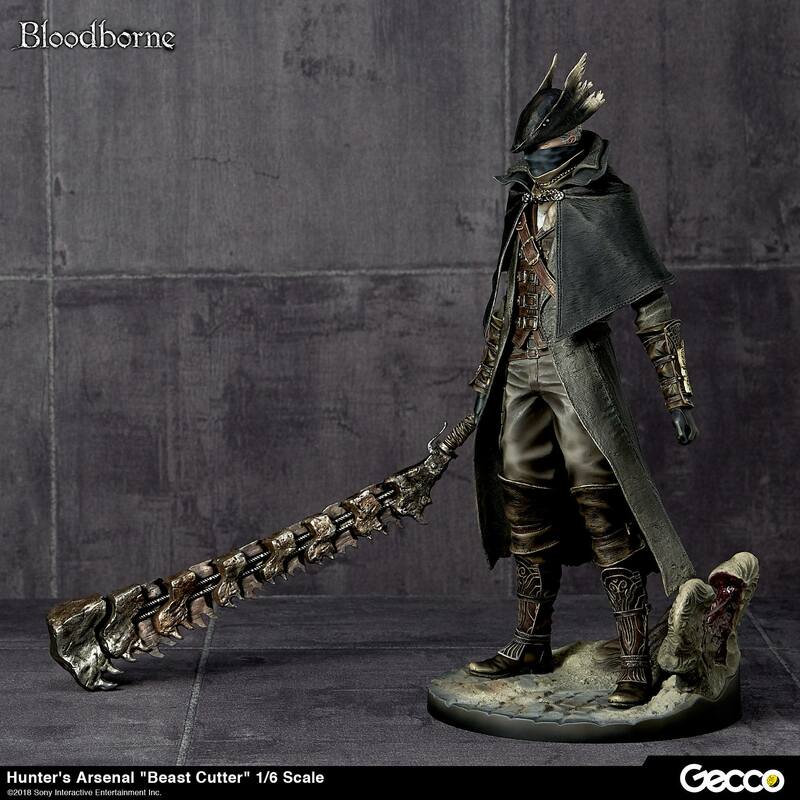 *When displayed with the “TOH HUNTER statue,” the statue base has to be detached. 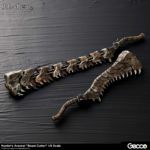 “Beast Cutter” is a trick weapon newly added to the downloadable contents of “The Old Hunters.” This valuable set includes 2 different versions: one is the cleaver mode for cutting through the tough beast hides, and the other is the split blade mode. 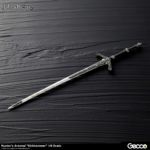 The transformed long reach weapon is 275 mm in length. 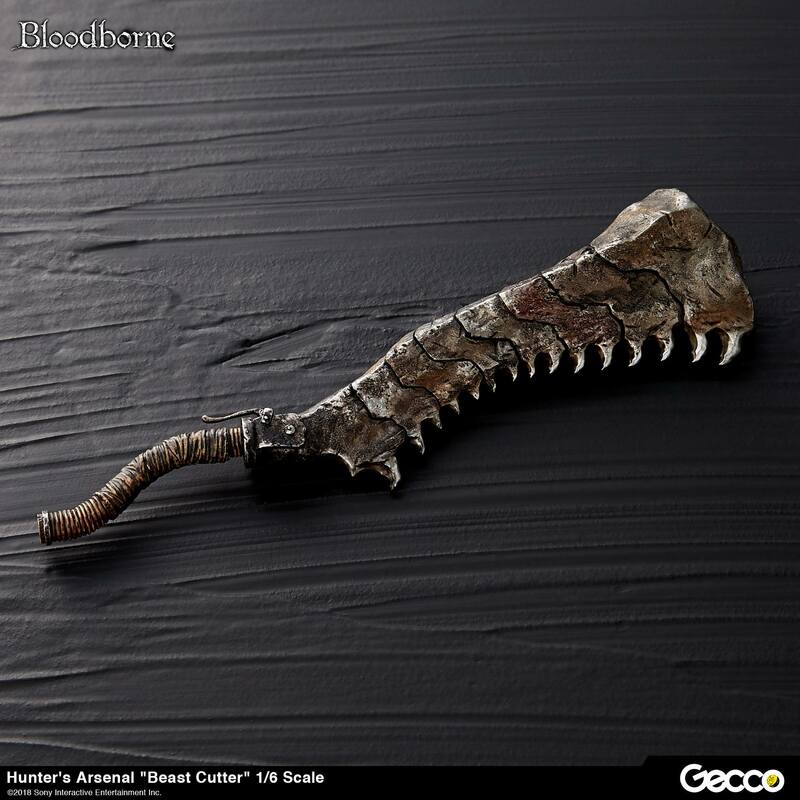 The savage look of each single blade and the connection are precisely sculpted just like they appear in the video game. 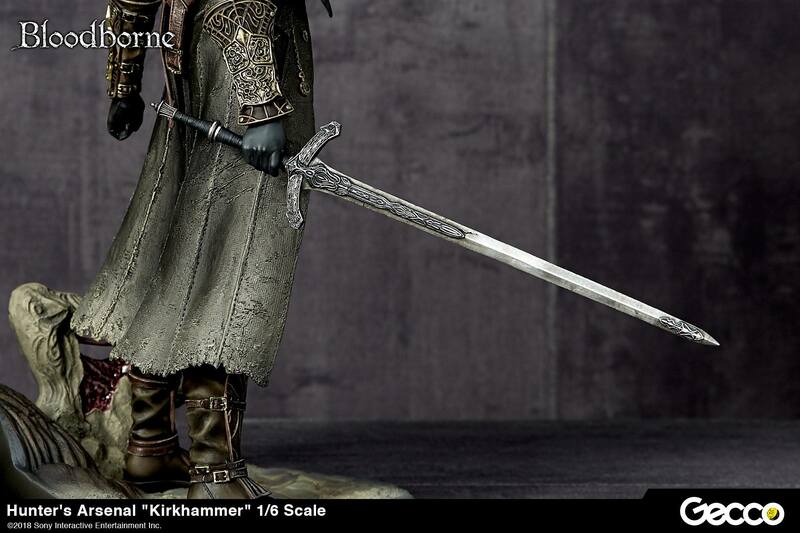 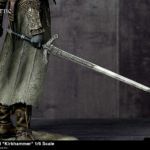 “Kirkhammer” is a trick weapon with two special features: one is a silver sword perfect for ripping beasts apart, and the other is a giant attacking hammer with massive power. 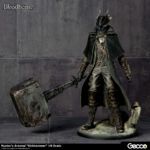 The huge hammer is made of Polystone and weighs in at an impressive 500 grams. 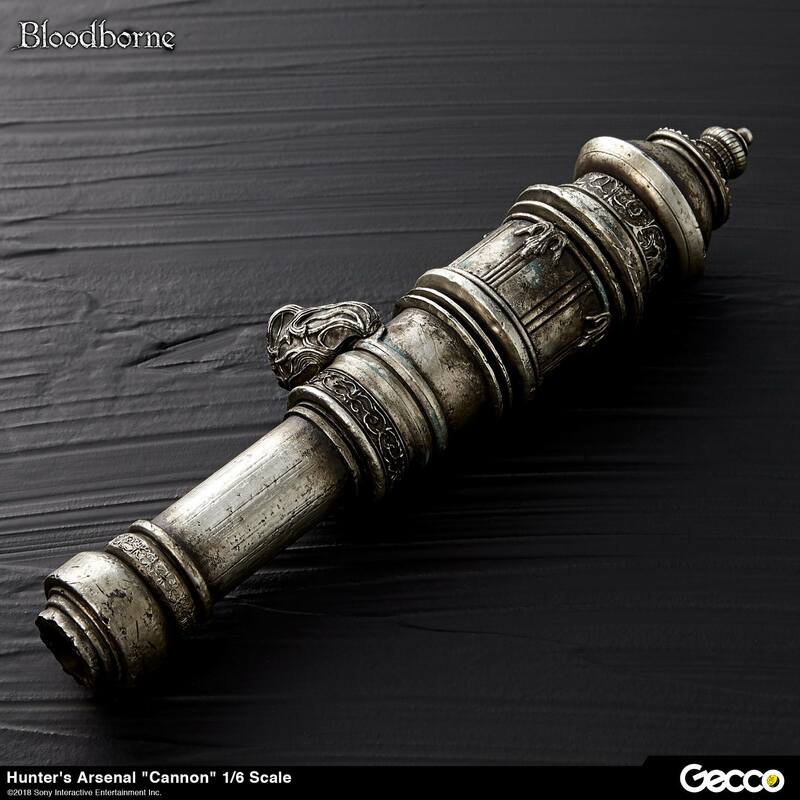 The beautifully engraved details on the surface of the weapon are impressive. 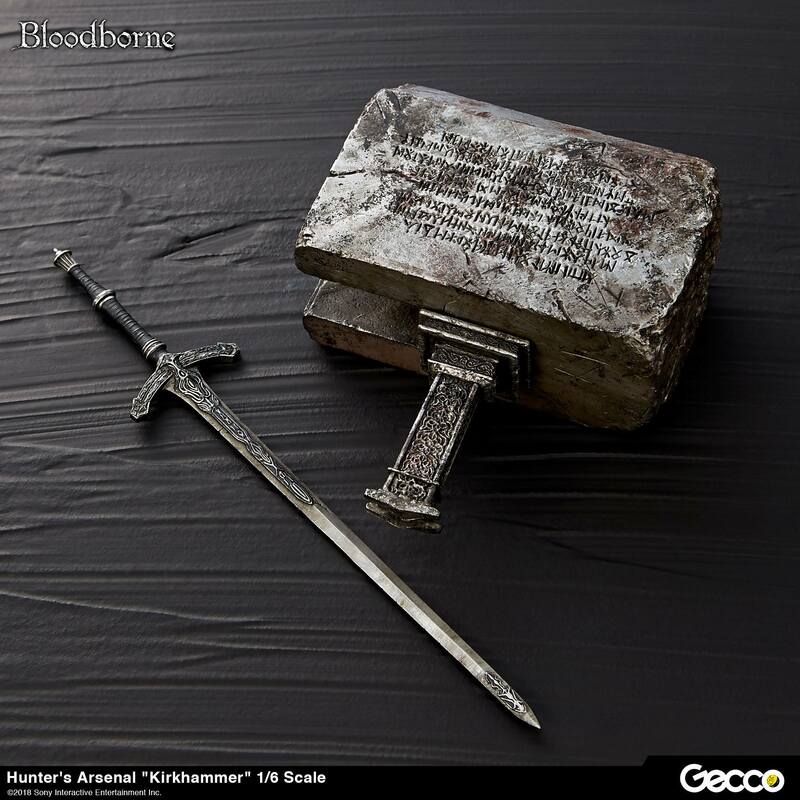 The sword can actually be inserted into the hammer just like the transformed weapon in the video game. 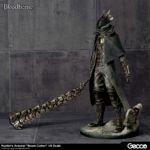 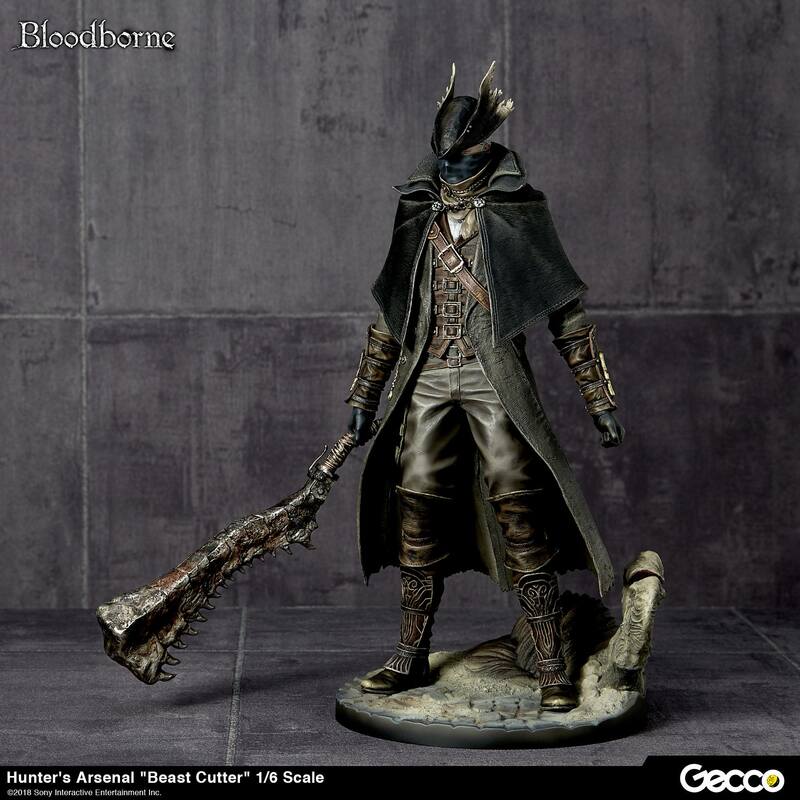 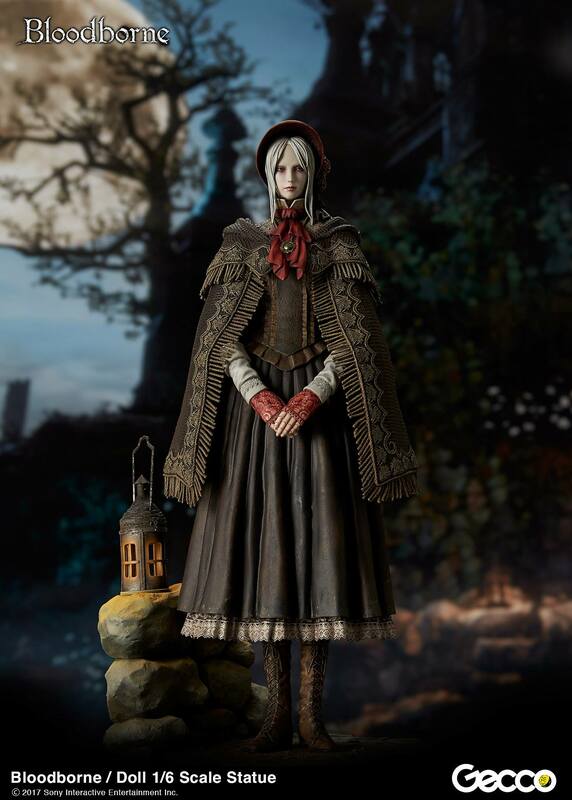 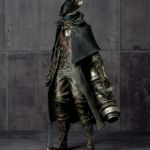 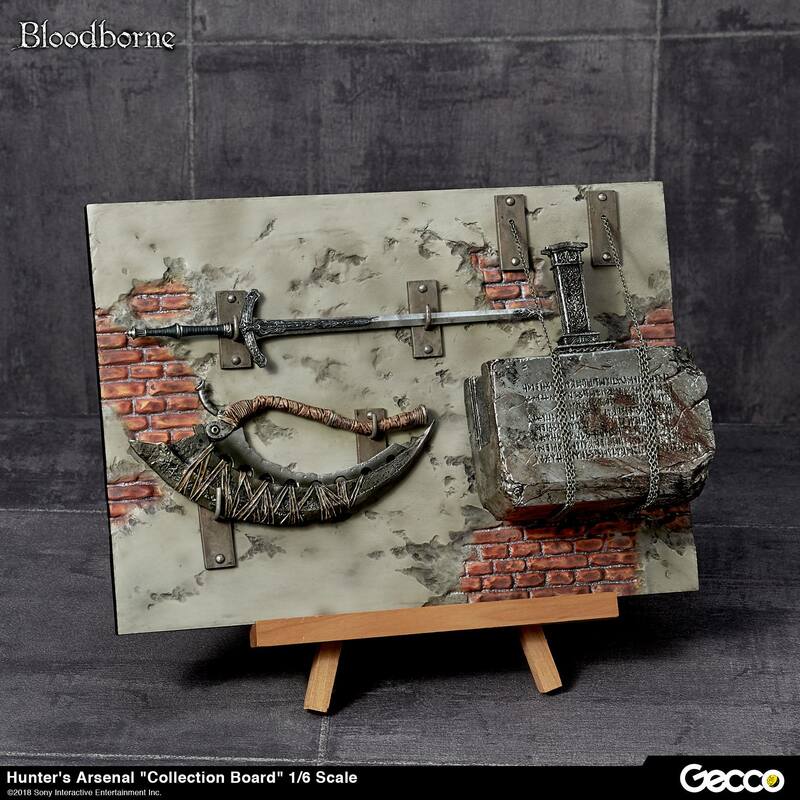 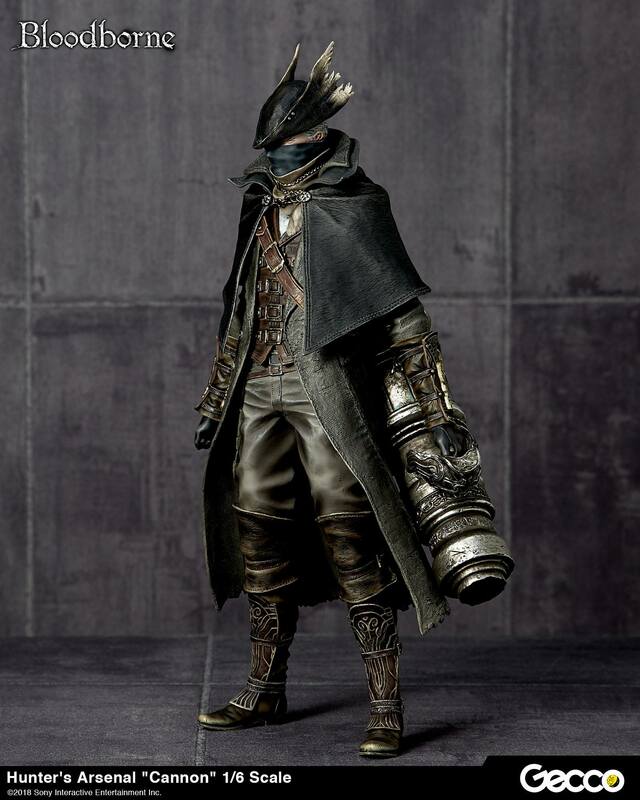 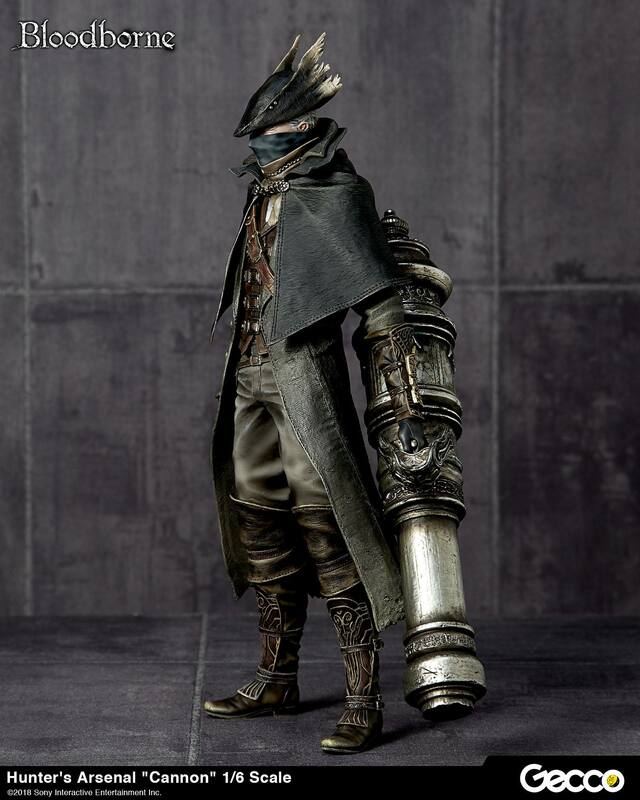 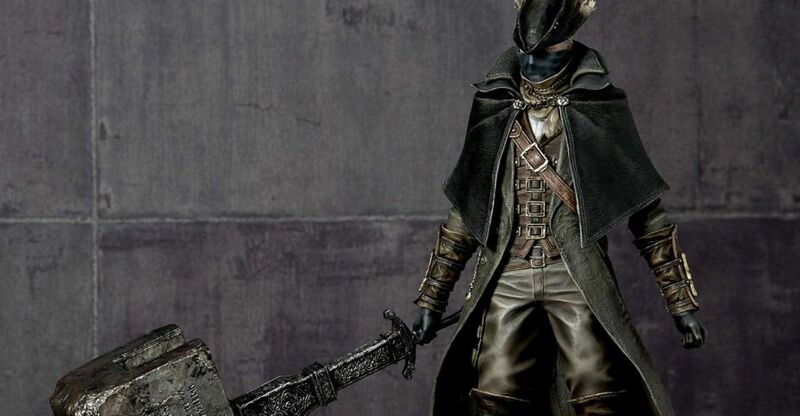 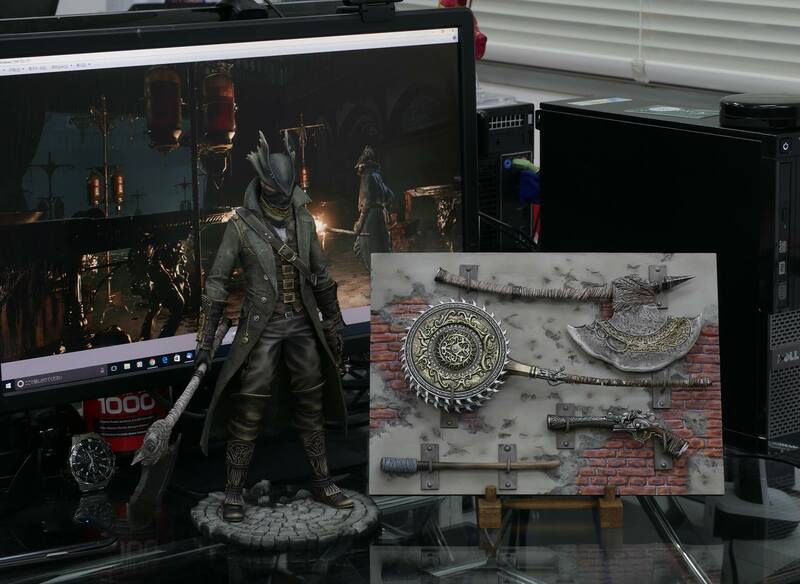 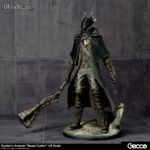 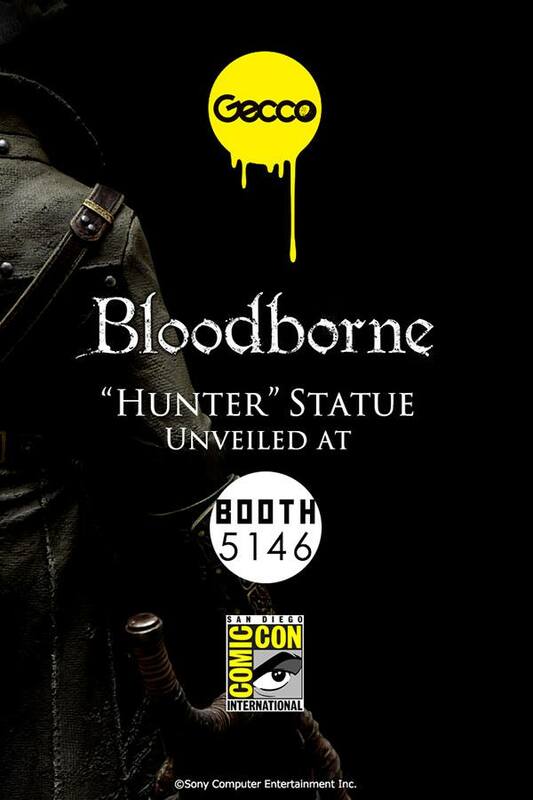 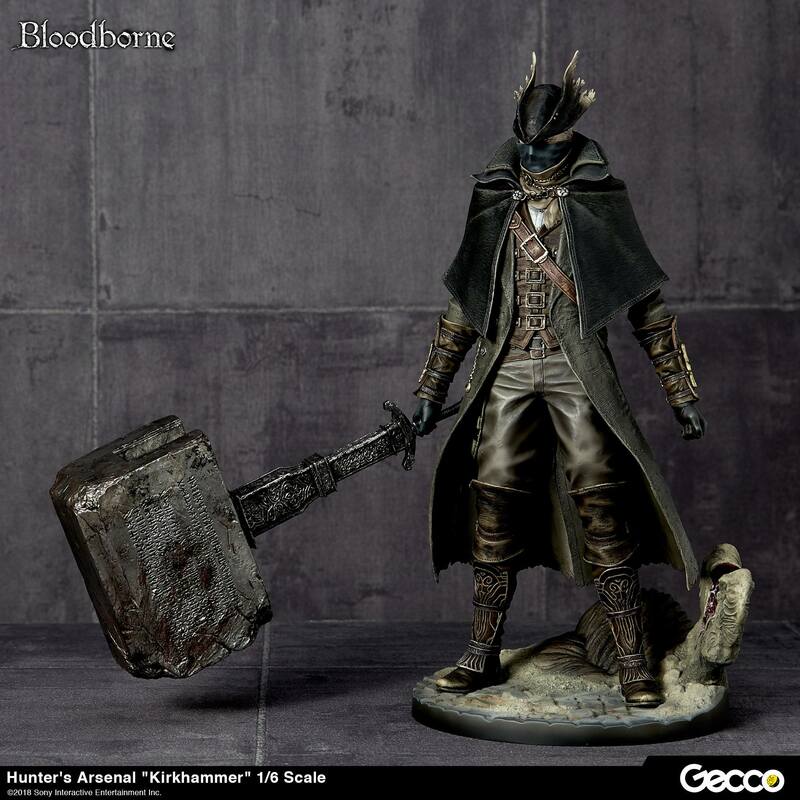 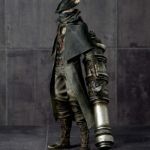 *Since the hammer is very heavy, please do not have the HUNTER statue hold it for long periods of time.